Love your fabric choice! 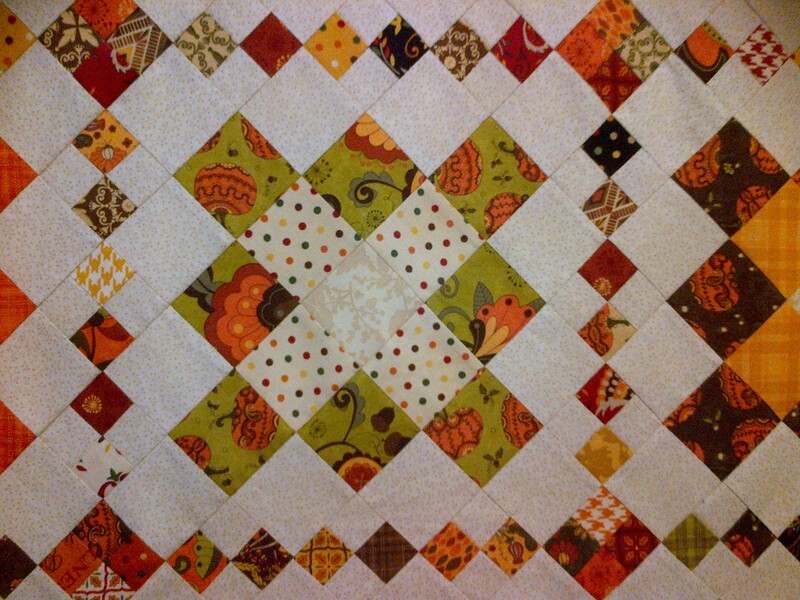 Such a lovely quilt for the season! I love this! I am two AYOS projects behind! I didn’t get to make the past two months and I am so regretting it. Your Clover is perfect for fall. It’s beautiful! I love those teeny tiny houndstooth check squares! Your Autumn Clover is gorgeous! Yeah! I am so glad that you made this AYOS project!!! I made Clover using Posh pumpkins too. Your version looks great! I love the polka dot fabric you added. I had to laugh at your finishing with just 15 minutes to spare. Been there, done that! 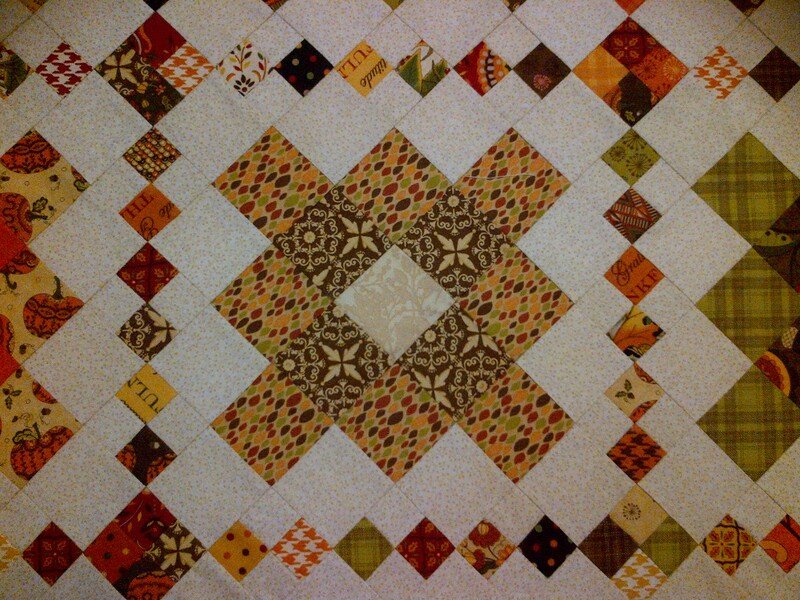 I usually cut it pretty close on the Schnibbles quilts too, but didn’t even manage to get started on Clover last month. 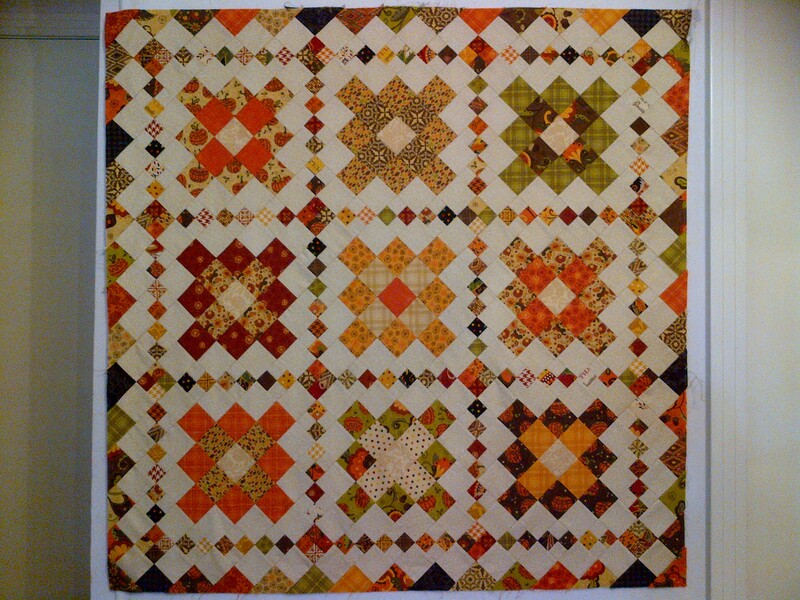 It’s such a great quilt though (despite all the small pieces and diagonal rows) and I love your fall version. I hope you manage to get it quilted so you can use it for the Holidays!